There are several liquid dosage forms used in pharmacy. The most common being: Syrups, Suspensions and Elixirs. These solutions are sometimes referred to as a "vehicle" which deliver the active drug dose. Although they are used for multiple reasons, liquid dosage forms are especially desirable for the elderly as well as young children who have difficulty swallowing tablets or capsules. Other benefits of these liquid forms is that they may contain flavors that make them palatable and help to disguise the awful taste of the actual medicine, and can have more of a soothing feel on the way down. Because of the nature of being in a liquid, these dosage forms are less stable and have a shorter shelf life than other dosage forms. As such, their storage requirements are typically more narrow, and are more susceptible to bacterial microorganisms. Additionally, because they are liquid, these dosage forms are more complex to administer and need to be measured each time a dose is taken. Suspension - A liquid dosage form that consists of a dispersion of tiny undissolved drug particles suspended in the solution. When the solution is shaken, the particles disburse to create a uniform heterogenous mixture. Syrup - A liquid preparation typically containing a high concentration of a sugar (or sugar substitute), a flavoring agent, and active drug ingredients. 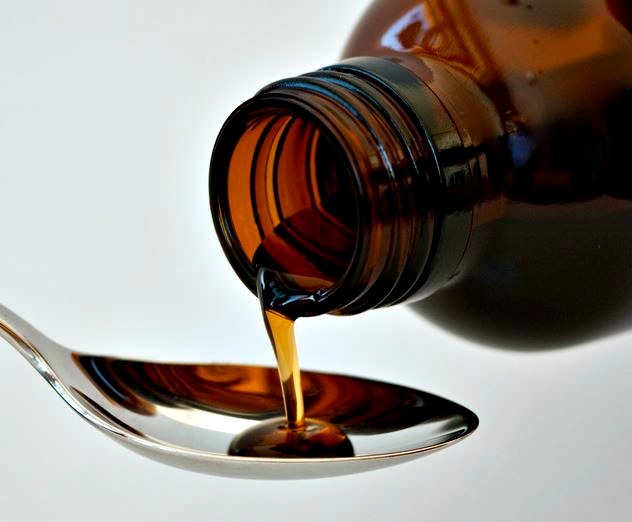 Syrups are a popular delivery vehicle for anti-tussive drugs because they feel more soothing to swallow than a tablet or capsule, and the medication is more quickly absorbed. Elixir - Are also sweetened solutions, but a bit less sweet and viscous than syrups. However, they are hydro-alcoholic, which means they also contain alcohol for the purpose of dissolving alcohol-soluble drug components in the solution.